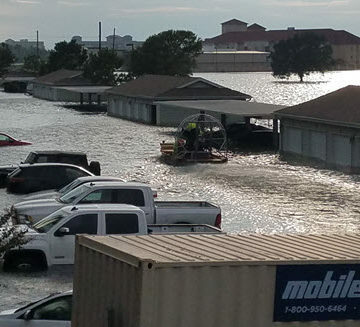 Andrew Wells, EIT, M.ASCE, president of ASCE’s Southeast Texas Branch, and an engineer for Collins Engineering in Port Arthur, TX, had hoped the worst of Hurricane Harvey was over Tuesday morning in his hometown, about 100 miles east of Houston. Then the rains came back. “I think something about the flooding is that it caught everyone by surprise. 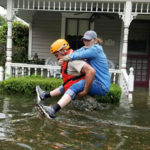 In southeast Texas we saw the flooding in Houston and didn’t expect the rain to continue as much as it did,” Wells said. “Even yesterday (Tuesday) afternoon, waters had risen, but it wasn’t at a dangerous level. At that point, I think most people believed that things would die off for a few hours before starting up again that night. Obviously, that’s not what happened. “I live on the second floor of my apartment complex in Port Arthur and still have food, running hot water, and power. My car and motorcycle are totaled, but that’s a lot less than I can say for other people around me who have lost everything. 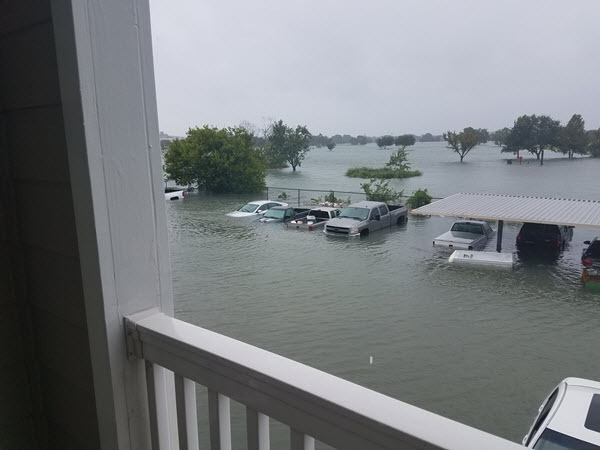 “Last night (Tuesday), I realized that water was going to flood all the first floor apartments in my complex – 100-plus apartments. The couple that live(d) below me have two small children – 2 and 3 years old – and as I was going to ask them if they wanted to stay in my apartment the husband knocked on my door. They have been staying with me since. 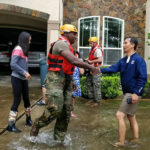 “The city of Beaumont – 120,000 people – also lost their main water pump and secondary water source on Wednesday night. It is possible that they will be without city water into next week. I think it has been particularly touching that people would drop what they’re doing and drive five- or 10-plus hours with their boats to come help. Knowing how difficult it is to get here, I think it speaks to the kind hearts of our neighbors around the country. “A friend of mine, who lives in my apartment complex, is in the Coast Guard. He and a couple of his mates were stranded at home due to the flooding and were able to get a 90-year-old couple medevac’d last night. This morning (Wednesday), I worked with them to evacuate at-risk elderly from assisted living nearby. 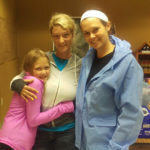 “While the Coast Guard and I were doing a lot of the one-on-one interaction with evacuees, we were assisted by people locally, from the Dallas area, New Orleans, Florida and elsewhere. I think it has been particularly touching that people would drop what they’re doing and drive five- or 10-plus hours with their boats to come help. Knowing how difficult it is to get here, I think it speaks to the kind hearts of our neighbors around the country. “While the immediate response has been great, I am concerned as I look into next week. 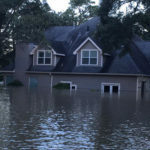 Once the flood waters recede and people are able to get back to their homes, I think that the real process of grieving and remaking of lives will start. “I am particularly concerned about the region’s mobility as many people’s vehicles (including my own) have been inundated with water. I am told that local grocery stores are currently open, however people’s ability to travel for supplies is in question in my mind. The continued support for the entire southeast Texas and Houston area will be critical over the next number of weeks.